Discover why being in nature may be the best thing you can do for your health. “The biophilia effect happens when we connect with our roots,” writes Arvay. “The biophilia effect stands for wilderness and the conception of nature, for natural beauty and aesthetics, and for breaking free and healing. 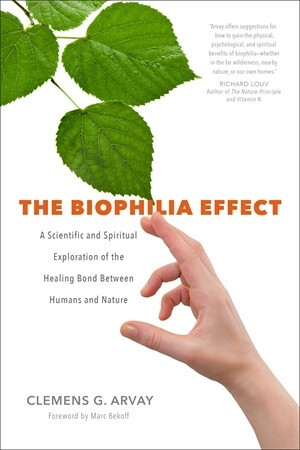 That is what this book is about.” The Biophilia Effect is your guide to accessing the sacred bond we share with nature wherever you call home.